Description: After only 9 years of occupancy, the AmeriSuites Riverwalk Hotel’s hot water copper system was in advanced failure due to substandard workmanship. AmeriSuites Riverwalk chose the ACE Duraflo system to solve the problem. 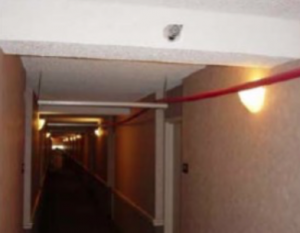 By undertaking this approach, the hotel was able to remain open for business while the process was being applied without the inconvenience of destruction and reconstruction associated with a traditional re-pipe. AmeriSuites Riverwalk Hotel, constructed in the 1990’s and plumbed in copper, is a 7-story hotel located on San Antonio’s famed Riverwalk. After only 9 years of occupancy, the hotel’s hot water copper system was in advanced failure due to substandard workmanship. For a few years, isolated pipe replacement and pressure clamps were utilized to immediately address water leaks and pipe failure issues. Finally, the leaks arising from the failing system became so numerous, complete system replacement became a necessity. 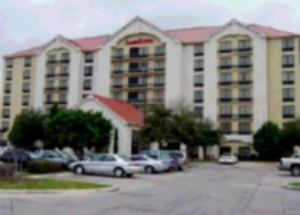 While researching options for plumbing system replacement, management discovered the ACE Duraflo® system had been successfully utilized by another AmeriSuites Hotel with excellent results. Direct confirmation of the success was secured leading to immediate contact and contract with ACE Duraflo® to initiate the required restorations. AmeriSuites Riverwalk chose the ACE Duraflo system to solve their problem. TDT Plumbing’s technicians and plumbers assisted in implementing the ACE Duraflo system utilizing a sectional approach to the AmeriSuites Riverwalk Hotel pipe restoration project. By undertaking this approach, the hotel was able to remain open for business while the process was being applied without the inconvenience of destruction and reconstruction associated with a traditional re-pipe. After 7 weeks, the entire hot water plumbing system was restored to better than new condition in a time frame far shorter than traditional pipe replacement and with a 10-year warranty, far exceeding any warranty offered for new pipe replacement.